When you’re a beginner hiker and do one of your first hikes in the mountain, one of the first questions that arise in your head is WHAT TO WEAR. In the following passages, you will find some good suggestions. The first thing that you need to do is find a reliable weather forecast. It is very important to know the temperatures and weather conditions before you choose your clothing. If it is summertime with high temperature, dress to avoid heat stroke, dehydration and hypothermia. And in the winter season, you generally try to avoid frostbite. You will need to know if it is raining or some winds blowing. Every detail is important to have your best, suitable clothing. You have to pay attention to the issue of the fabrics. It is better to avoid cotton because it retains moisture and dries slowly; synthetic fabrics are the best option. For example – one pair of wool socks is preferable than a pair of cotton socks. Here are some options of footwear, which can be your best decision. Plastic boots, lightweight hiking shoes, Gaiters, sandals, liner socks, vapour barrier liners and heavy, warm socks. They need to be waterproofed and if it is possible with a coating for winter and wet conditions. It is also desirable to breathe easily enough. It is very important to wear boots that are light and water resistant to keep feet warm and to avoid twisting of ankles and for easier walking. 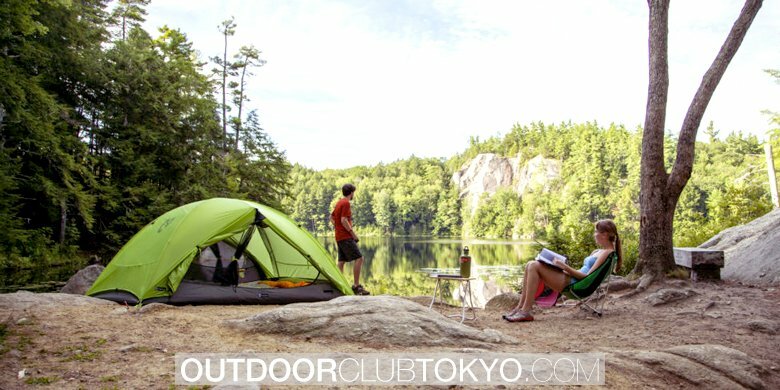 Getting the correct mountain hiking shoes is the most important, because when on a hiking trip, it is your feet that will keep you going. 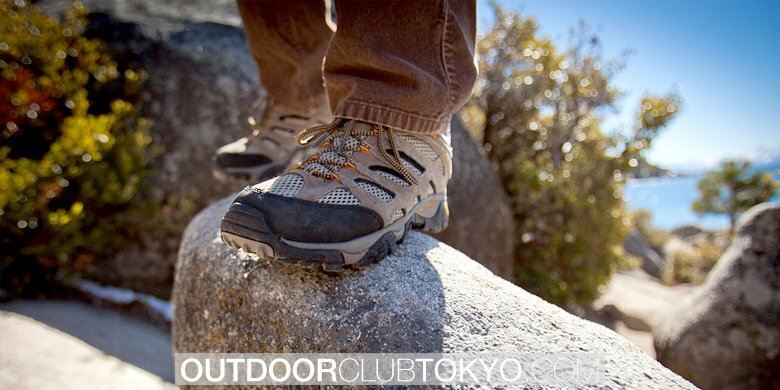 Lightweight mountain hiking shoes also provide a better grip while climbing. 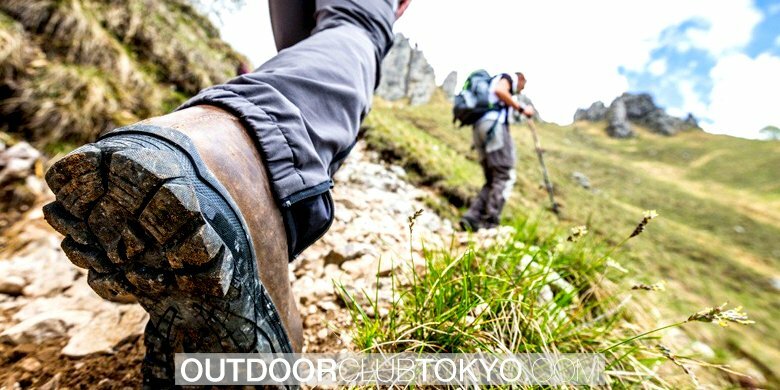 Keeping your feet happy is a must to make the most of your hiking adventure, mountain hiking shoes should be preferred to other footwear since they are waterproof, more stable and provide better tread. Having the right mountain hiking shoes is safety measures in itself, people on hiking trips often suffer from swollen and twisted ankle problems due to not wearing the right shoes. The right quality soles and the right mountain hiking shoes will help you walk better for miles without having to feel the strain on your feet, which otherwise can be a big problem. 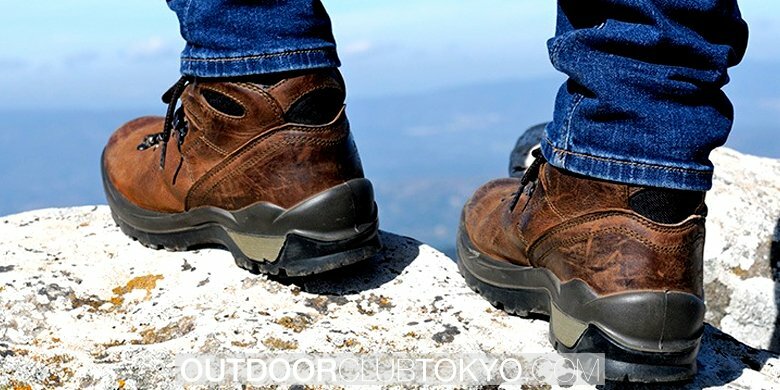 Mountain hiking shoes are designed especially so that a person can walk in them with a better grip for hours at a stretch on all sorts of surfaces without tripping and slipping. As we already mentioned, it needs to have wool socks, not cotton. It can play a very significant role in your experience although they seem small, insignificant detail. It is good and even compulsory to put your best pair of footwear if you want one amazing hike. It is not a good choice to wear jeans on the mountain hike. It is better to try a pair of pants QUICK impermeable material which dries in a moment. It is a perfect to have one wool sweater. Especially when on treks in snowy mountain ranges, to keep yourselves warm is a must, a woollen sweater will also protect you from the cold on non-snowy peaks because moving upwards towards lower temperature areas be it snow or not is always going to be colder than the planes or the low-lying areas where the trek is started from. Your shirts required to be long-sleeved, non- cotton thermal, which can protect you from the low temperatures. One considerable piece of your clothing for winter hiking is a lightweight, insulated jacket. It is recommended to wear a long sleeves and clothes with zip-up. And of course – a hat. It is maybe the easiest part of the hiking clothing. It protects the head and ears from freezing in winter and overheating in the summer days. Therefore, it is mandatory to secure good quality hats. Let’s not forget – a pair of gloves would have saved you from freezing in the winter or, at least, will prevent your skin damage in the not so cold days in the mountains. Once you know what clothes you need for a great trip, you need to know another very important detail – the way you must pack your clothes. Most practical is to dress in layers in the mountain. The temperature has large amplitudes at different heights. Dressing in layers will give you an easy way to dress and undress if needed. After we gave you basic tips and suggestions, you are ready to make the best choice of clothing. Once you know what clothes you need for a great trip needs to know one very important detail in the way must put your clothes. Most practical is to dress in layers. Mountain The temperature has large amplitudes, as well as differences in degrees at different heights. Dress in layers you fast and easy to dress and undress clothes. Once you know what clothes you need for a great trip need to know one very important detail in the way must put your clothes. Most practical is to dress in layers. Mountain The temperature has large amplitudes, as well as differences in degrees at different heights. Dress in layers, gives you a fast and easy way to dress and undress clothes. After we gave you basic tips and suggestions, you are ready to make the best choice of clothing to spend incredible moments in the mountains!